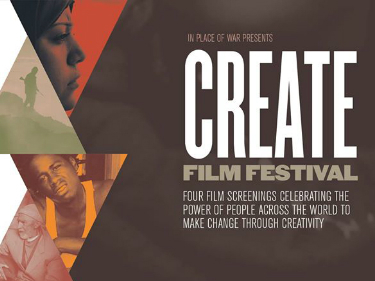 CREATE Film Festival was a project from multi-award winning organisation In Place of War, that looked at creativity in sites of conflict through the eyes of some of the world’s most daring and innovative filmmakers. The festival featured three screenings that looked at creativity and culture in DR Congo, Kurdistan and the world’s Hip Hop communities, the festival also included a special women-only screening that explores some of the most inspiring female artistic movements happening in sites of conflict and post-conflict today. 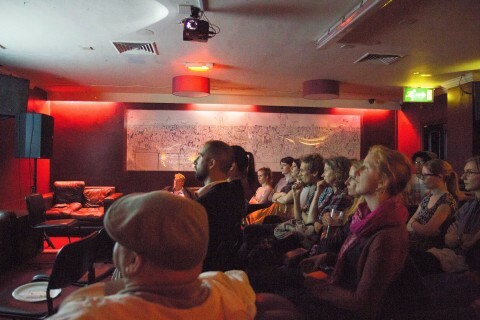 Working in partnership with Film Hub North West Central and with local Manchester communities, each screening was co-curated to include a mix of emerging and established filmmakers. Each event also included opportunity for discussion, sharing, Director Q&As, live music and food. When communities are caught in the depths of conflict and oppression, and survival becomes part of everyday life, why do people continue to create? When arms and air raids, ceasefires and aid fail to bring an end to such situations, what can art offer and what can it change? Creativity as resistance; as understanding; as peace building; as voice; as messenger; as an alternative. Engaged a range of new audiences, especially diaspora and refugee communities in the North West. Raised awareness of challenges and issues facing global communities. Demonstrated how art and activism can bring about positive change. Offered an opportunity for discussion/debate with key people involved in the making the films and local communities. Documented the season to make content available to a wider audience via IPOW platform. It was a true success – we worked in partnership with Manchester’s diverse community groups to curate meaningful events, celebrating their culture through film, music, food and discussion. We bought Manchester’s film audiences out of conventional venues and into community spaces. We opened up the film curation to an international audience of young film makers (from which we had over 50 applications from across the globe). 4 feature films were screened, supported by 7 short films. The features were: FORGOTTEN CHORDS (2016) by Kurdish filmmaker Soran Mardookhi, RAMPAGE (2006) by world-renowned artist and film-maker George Gittoes, VIRUNGA (2014) a documentary based in D.R Congo by Orlando von Einsiedel and THE TRIALS OF SPRING (2015) by Gini Reticker. 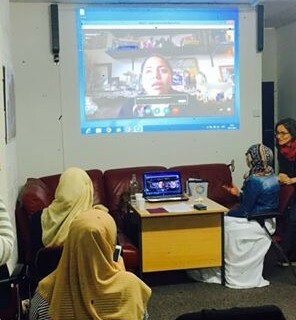 Partnership were made with various communities in Manchester including: Syrian, Congolese, Kurdish, refugee and Urban Youth (through the hip-hop screening). The main learning was around understanding the different ways different groups work, developing new partnerships and links. Amount award from Film Hub NWC = £8500 / In kind funding = £8050 / TOTAL EXPENDITURE= £16,550. The screenings sparked a number of new events, two with the Syrian community, where over 300 people attended to explore art and conflict where new films were shown curated from our platform. This project has helped us as an organization understand the value of work with communities in the UK and the power and engagement through these events, has inspired us to work with all 4 community groups to develop a Big Lottery bid to continue growing community based events with film at the core, along with music and food. Two of the community musicians performing at the events, have been selected by In Place of War to perform at a series of Summer UK Festivals to audiences of over 10,000 people. The event with the DRC community was the biggest they had have ever been part of and this has inspired them and helped build their capacity to deliver more events, particularly with film at the center of their planning. One main challenge was, after consultation with the community groups, we didn’t feel we could charge for the events – it would make it inaccessible to the community groups. Instead we decided to provide more of our resources in-kind and reduce costs to ensure that we could produce something meaningful and affordable. We had an overall audience of 509 people, we anticipated 1,000. The reason for lower audiences were – some community venue capacities were limited. It was important for the communities to determine the venues we used. We screened 10 films over 4 venues. This was one less venue, due to the budget and as we were building new relationships with some groups, it felt like the right amount of screenings in the time we had. There were issues with the evaluation forms in some cultural contexts – for example DRC. It was awkward to ask people, as we were new people in their community space. Holding events which offered space and opportunity for discussion, debate and additional activities enabled audiences to learn more about film, relating the films back to their own situations, home countries or artistic work. We invited Directors, protagonists, artists and activists featured in the films to be involved in Q&As with local community members. The content/ideas in the films were expressed through music performance following the films. 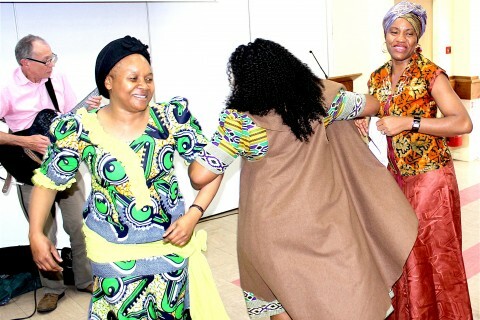 The audiences were predominantly made up of refugee/diaspora community groups. The films were shown in community selected spaces, often outside the city centre. The events offered space and opportunity for discussion, debate. The additional activities enabled audiences to learn more about film, relating the films back to their own situations, home countries or artistic work. We showed films from Kurdistan, USA, Colombia, DR Congo and Egypt. 70% of the films we screened had not been shown before to UK audiences. We curated the supporting films with an open call across In Place of War’s artistic networks. 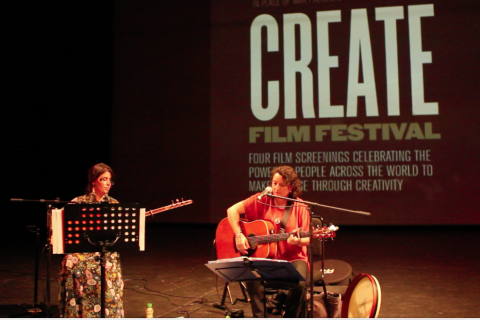 "Film Hub North West Central are pleased to support CREATE Festival. Film is a great medium for brining communities together. The films and events organised by In Place of War provide a wonderful opportunity for people across Greater manchester to discover some inspired film making coming from places more usually associated with conflict than creativity" - Nicky Beaumont of Film Hub NWC. The Bigger Picture is a Film Audience Network initiative.